« Cancer in the News – What to Think, What to Believe? Bradley had a meeting with the Corporation to discuss his bid on 2 September, but a decision on the tenders was not expected until 2 November. However the 2nd November came and went and no decision was made. A spokesperson for the Corporation said ‘We are still in discussions with a number of parties involved in the tendering process and hope to have a decision soon.’ A decision would now be made on 12 January 2015. Bradley’s lease was extended to the end of March. 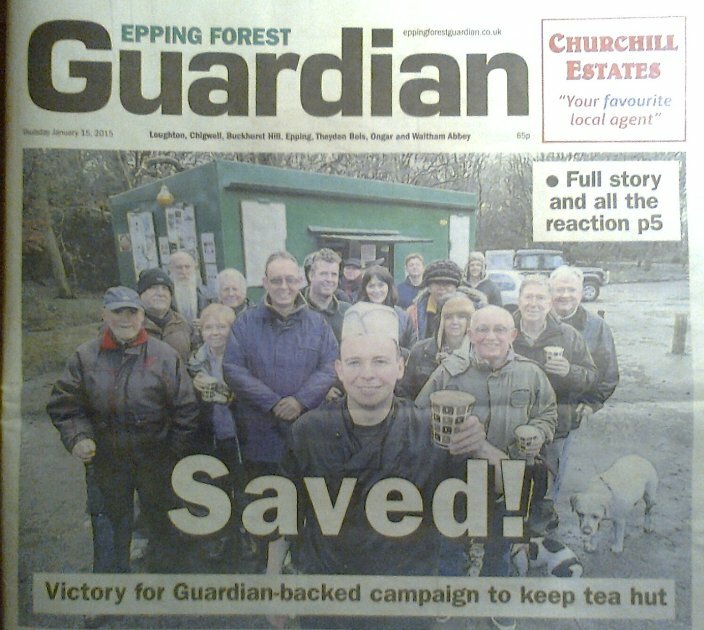 On 29 December, the Epping Forest Guardian ran an article ‘The history of a tea hut with an uncertain future’ which can read in full here. In early January, the tea hut was given a four star food hygiene rating. Bradley and his supporters waited anxiously in the last few days but on 12 January the City of London Corporation announced that the Hill Wood hut ie. Brad’s tea hut, would continue to be run by Bradley Melton on a three-year lease, and that he had been ‘tasked with developing the business’! 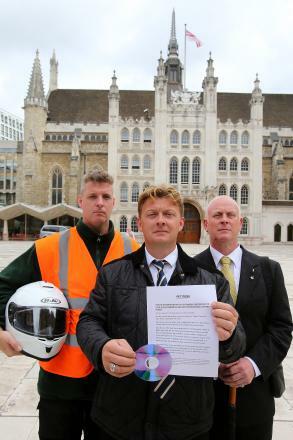 The Save the Tea Hut campaign had won! The reaction from supporters was tremendous with hundreds of postings on Facebook. It would be interesting to know what was behind the Corporation’s decision. How many bids were there? Did they decide just on the financial benefit to the Corporation or were a wide range of factors considered? Were some of the bids unrealistic in what they could deliver? 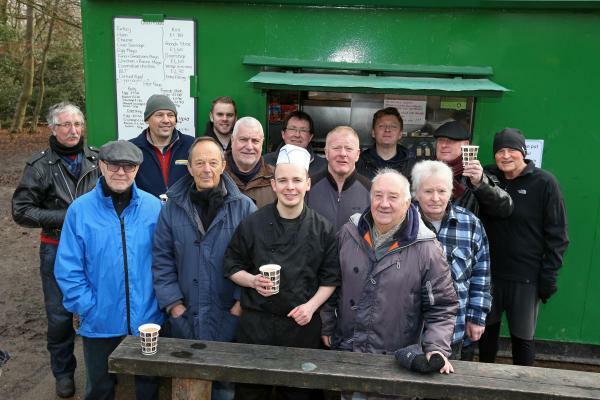 Would Bradley’s bid have won anyway or did the strength of local feeling as demonstrated in the Save the Tea Hut campaign make all the difference? 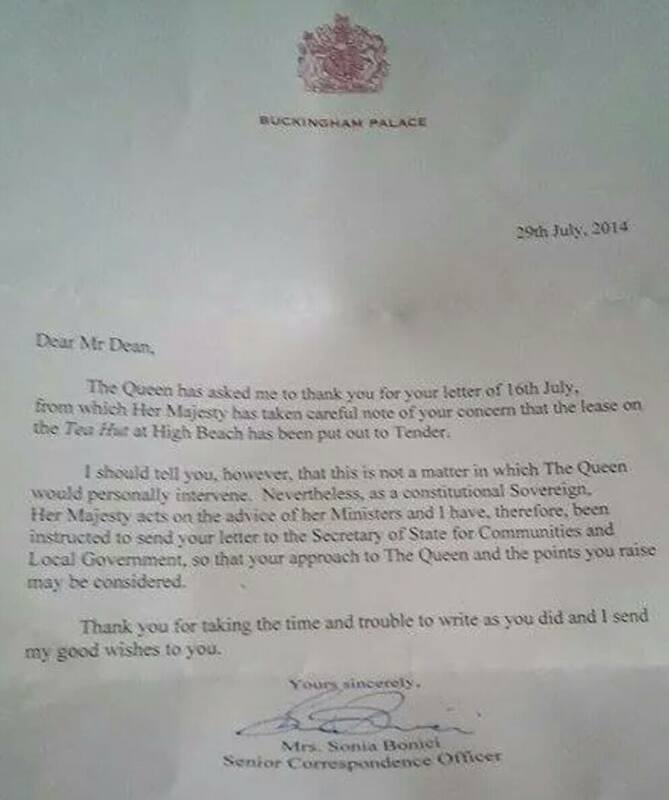 Or perhaps the Queen had a private word with Eric Pickles! It is doubtful given the commercial confidentiality surrounding the tender process that we will ever know. The day after, I happened to go for a run in the forest. My usual run takes me up to the tea hut and I usually stop for a cup of tea. As I got towards the hut, I noticed a small crowd of people gathered in front of it. By chance I had arrived just as the photographer from the Epping Forest Guardian was doing a photo shoot so I joined the crowd at the back. One of Bert Miller’s mates, who used to do sidecar cross racing with him, posted a few years ago that Bert was enjoying his retirement in the Philippines with a Filipino wife, 37 years his junior. I wonder how many cups of tea he served? 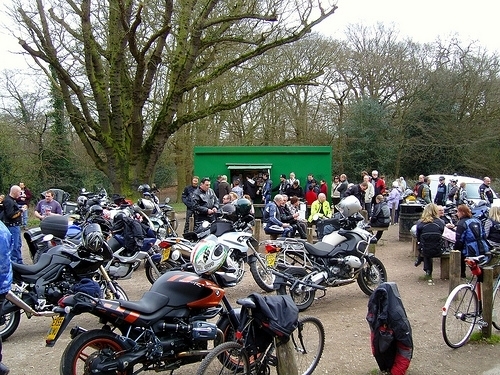 How many cups of tea have been served at the Biker’s Tea Hut since 1930? A cup of tea outdoors. It’s one of the good things in life. Dave. I did get the book and found the photograph, but your comments spurred me into action and I’ve re-posted your photo side by side with Betjeman’s one as you can see. Any idea of the year you did your first cycle ride, that is the one you wrote about in the Fellowship News? They make a fine pair of pics and I would say much about the same age. I started cycling in 1953 but was a frequent visitor to High Beech and the hut so I would say both images are probably 1955. It is the same old hut which I was told is still around in the village somewhere when it was replaced by the existing hut, in a school perhaps? The family would know Regards Dave Twitchett. Thanks Dave for commenting on the article. I think I saw some of your other club cycling photos on the Friends of Epping Forest website. I wouldn’t want to add any more to the post but here is the link to your photos for anyone else to see. I’d be interested to know about the Betjeman book. Cannot recall offhand the title and the volume is at my Norfolk address whilst I am here in South Essex. Give me a couple of months to revert. 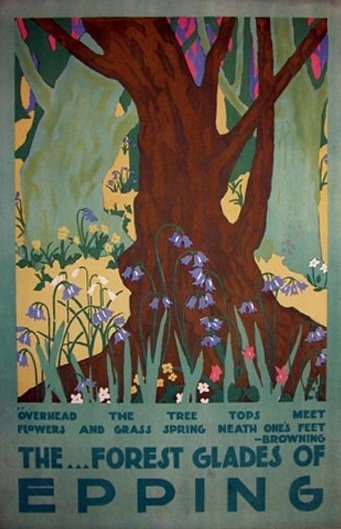 I think it was by his daughter Candida Lycett Green and it may have been published by The Folio Society but not sure of that. I will do a bit of research meantime and maybe come up with the answer that way. Thanks Dave. I’ve ordered a good copy of the book from Abebooks so I might be able to put the image in this post. Just found this article by chance when searching my name. Found my 1950s photo in use. In the fifties it was the club cyclists that flocked there and sat and climbed all over the fallen tree trunk. Had I been asked re the photo I would have produced several more. Well done to all who saved the place. I can still savour the bacon rolls and the tea. There is another photo in a book about Betjeman. Details not to hand but I can provide them later to any that are interested.